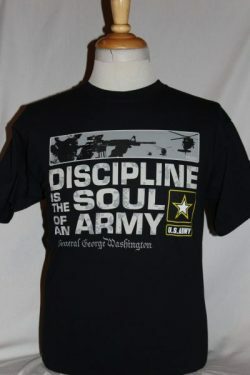 The US Army Discipline T-Shirt is a two sided print in black. Front Design: Army star insignia, soldiers with M16, helicopters, and text. 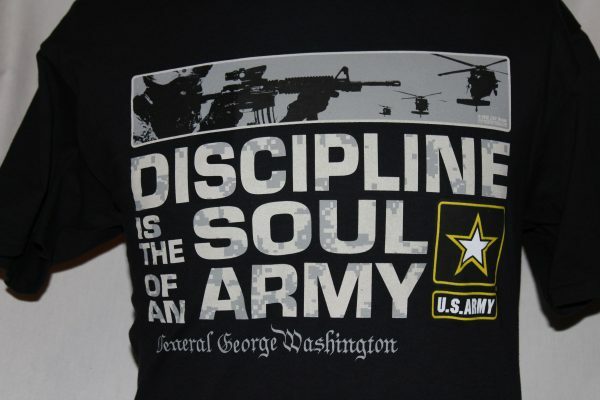 Back Design: Upper back US Army Insignia.